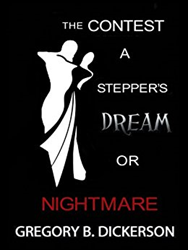 ‘The Contest: A Steppers Dream or Nightmare’ is a work of fiction which represents the category of “unsolved mysteries” in our urban 21st Century society. Steppin’ originated in the 1930’s as the Jitterbug. By the 1960’s it was known as the Bop, which evolved into a unique style of its own. The popular disco era and the Bop rejuvenated and became the current style, Steppin’ for all age groups. Set amidst this popular dance culture is the intersecting lives of dancers who find themselves caught in the middle of a murder with all of them as prime suspects. A page turner from beginning to end, The Contest is now optioned into a movie for full scale production.